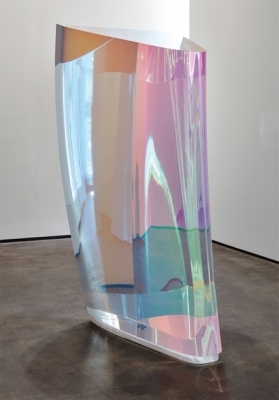 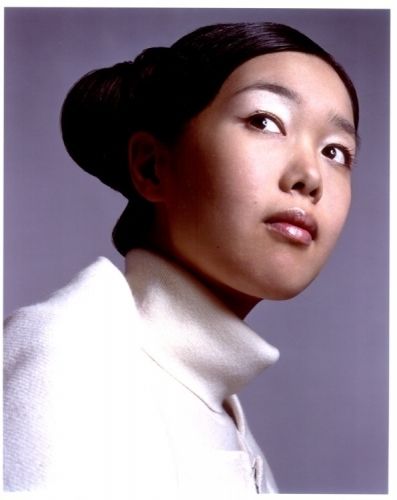 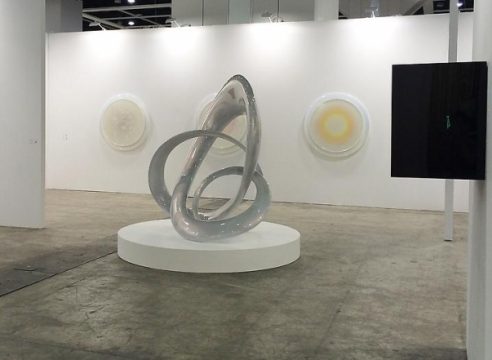 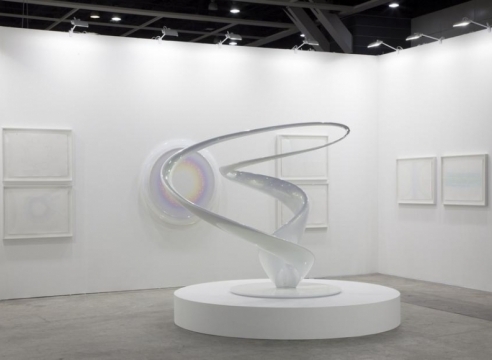 Mariko Mori is an internationally acclaimed artist. 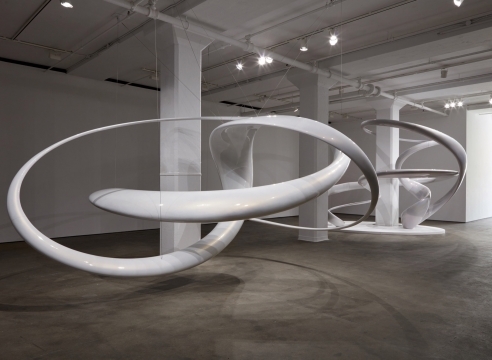 Her practice explores universal questions at the intersection of life, death, reality, and technology. 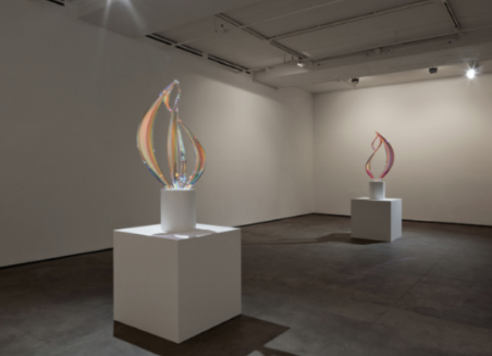 Her work has been acquired by museums and private collectors worldwide. 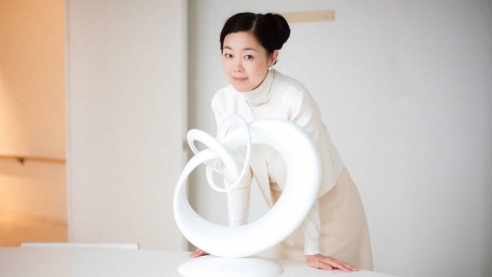 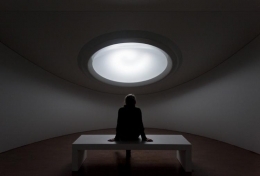 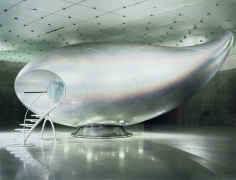 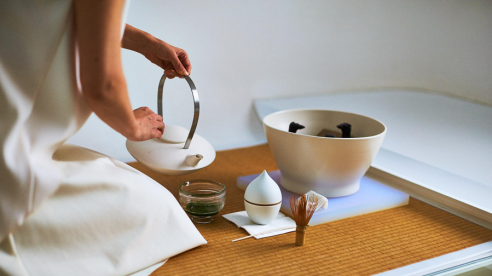 Mori gained international recognition for her interactive installation, Wave UFO, which debuted at Kunsthaus Bregenz, in Bregenz (Austria) in 2003. 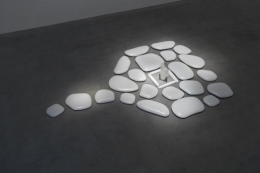 The installation was subsequently shown in New York (USA) with Public Art Fund, Genoa (Italy), and was included in the 2005 Venice Biennale (Italy). 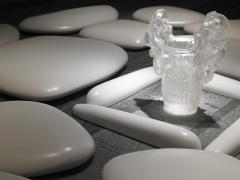 It was also featured in Oneness, a survey of Mori’s work that opened at the Groninger Museum (Netherlands), then traveled to the ARoS Aarhus Kunstmuseum, in Aarhus (Denmark), the PinchukArtCentre, in Kyiv (Ukraine). 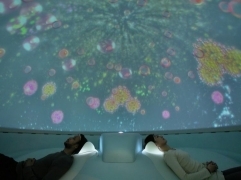 Oneness was also exhibited at Centro Cultural Banco do Brasil, in Brasília, Rio de Janeiro and São Paulo (Brazil) in 2011. 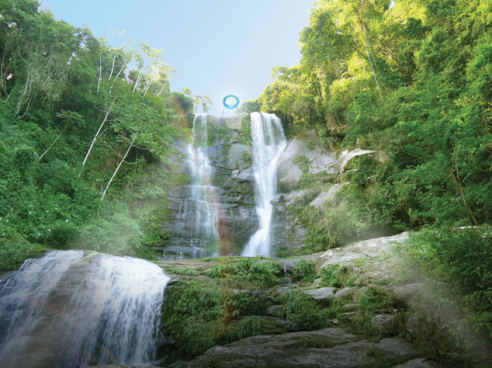 Mori’s most recent large-scale installation, Ring: One with Nature, was unveiled to the public on August 3, 2016 as part of the Celebra™ Cultural Program of the Rio 2016 Olympic and Paralympic Games in Rio de Janeiro, Brazil. 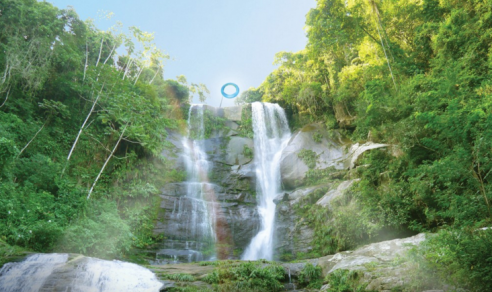 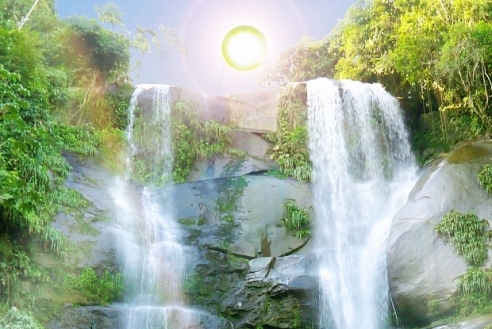 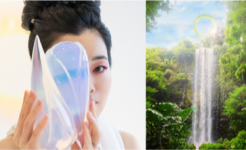 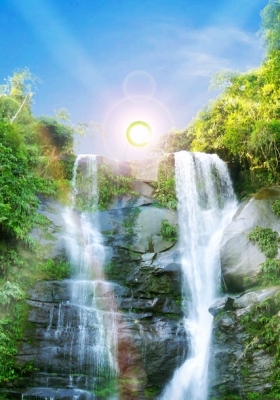 Highlighting Mariko Mori’s artistic and intellectual practice combining science, technology, and nature, this new work features a luminous ring suspended at the peak of a 58-meter-high cascading waterfall. 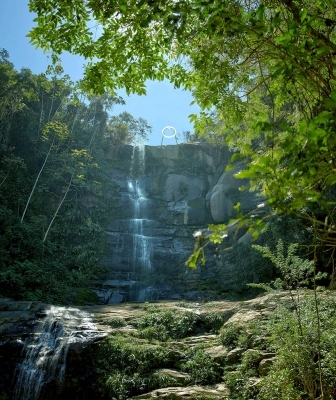 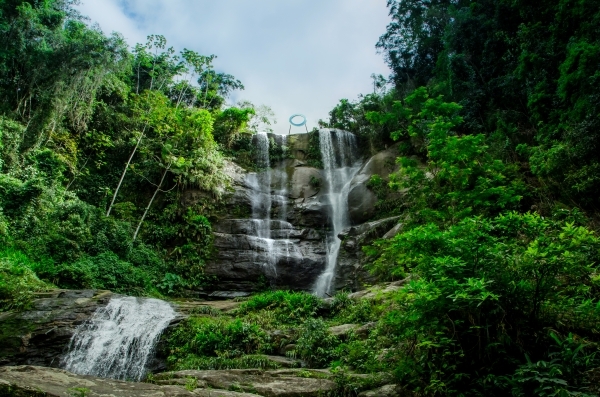 The permanent installation is situated at the top of the Véu da Noiva waterfall, meaning “the veil of the bride,” located in Muriqui, Mangaratiba, in Rio de Janeiro State. 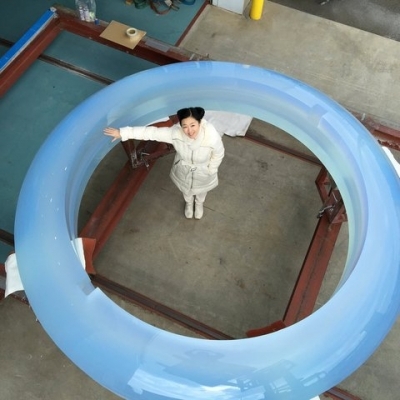 Ring is the second and most ambitious work to be realized by Mori's Faou Foundation and is part of the Foundation’s larger mission to place the artist's site-specific works on the six habitable continents. 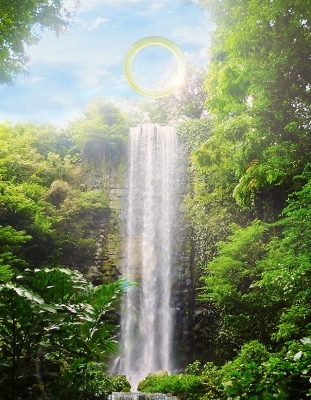 Ring is preceded by Mori's 2011 installation, Sun Pillar, at Seven Light Bay on Miyako Island, Japan, as part of a paired work in progress entitled Primal Rhythm. 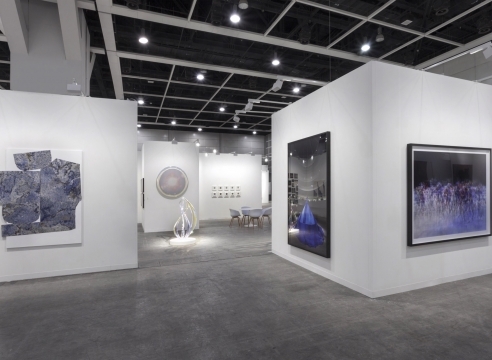 Mori’s solo exhibitions have been exhibited throughout the world, including Royal Academy of Arts, in London (United Kingdom), Japan Society, in New York (USA), Espace Louis Vuitton Tokyo (Japan), The Museum of Contemporary Art, in Tokyo (Japan); The Brooklyn Museum of Art, in New York (USA); The Museum of Contemporary Art, in Chicago (USA); The Serpentine Gallery, in London (England); The Dallas Museum of Art, in Dallas (USA). 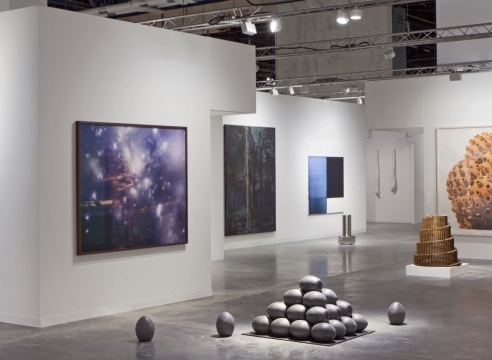 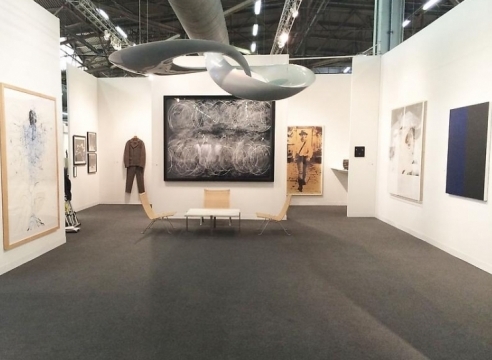 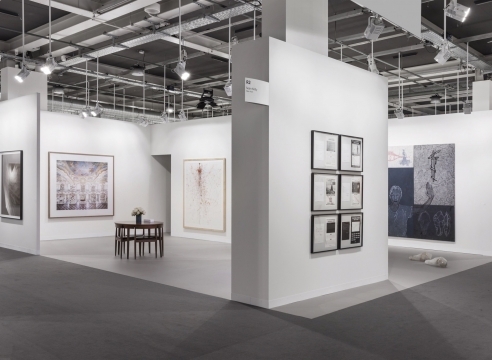 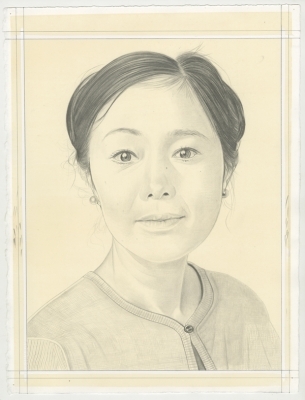 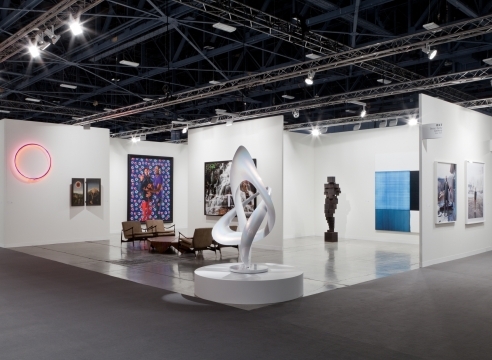 Several renowned museums have presented Mori’s solo exhibitions, as well as acquired Mori’s works in their collections, including Centre Georges Pompidou, in Paris (France); The Prada Foundation, in Milan (Italy); The Museum of Contemporary Art, in Chicago (USA); The Los Angeles County Museum of Art, in Los Angeles (USA). 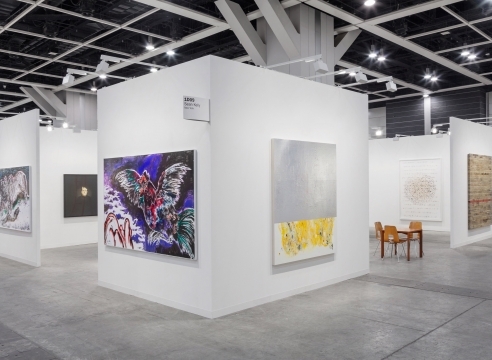 The PinchukArtCentre, in Kyiv (Ukraine); The ARoS Aarhus Kunstmuseum, in Aarhus (Denmark), The Guggenheim Museum, in New York (USA);The Israel Museum, in Jerusalem (Israel); The Museum of Modern Art, in New York (USA) have Mori’s works in collection. 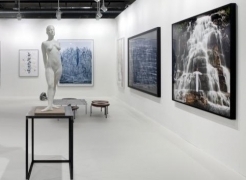 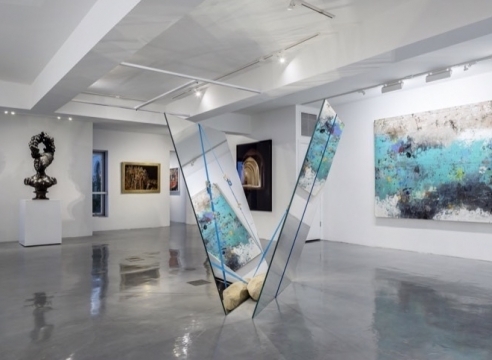 Mori has received various awards, including the prestigious Menzione d’onore at the 47th Venice Biennale in 1997 (for “Nirvana”) and the 8th Annual Award as a promising Artist and Scholar in the Field of Contemporary Japanese Art in 2001 from Japan Cultural Arts Foundation. 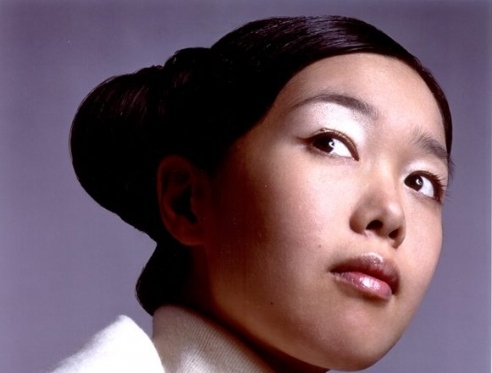 Mariko Mori lives in London, New York and Tokyo. 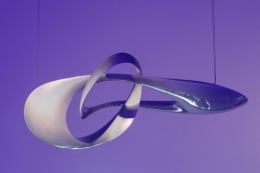 Menkes Videos: Infinite Energy II. 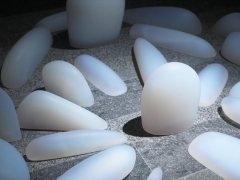 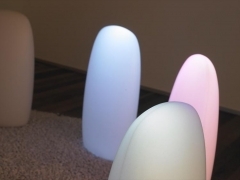 Mariko Mori art installation at One York Street, November 5, 2018. 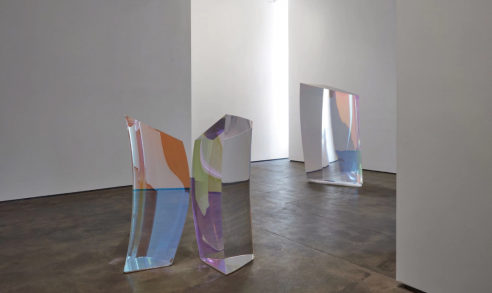 Invisible Dimension at Sean Kelly, New York March 23 - April 28, 2018. 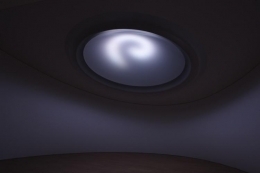 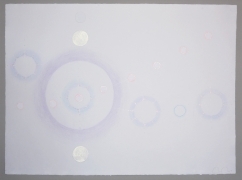 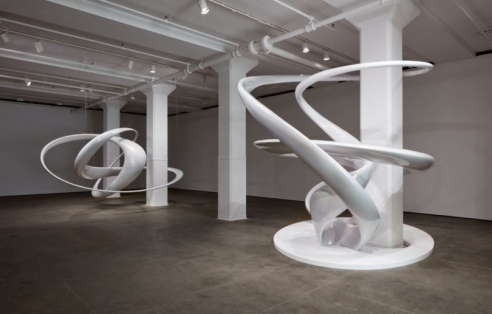 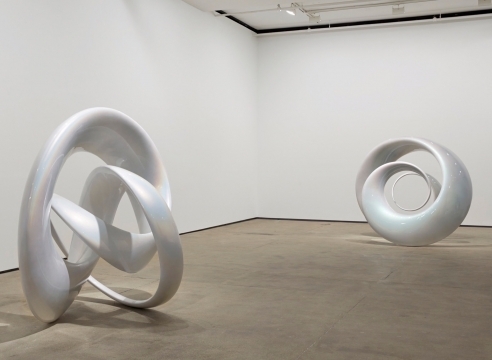 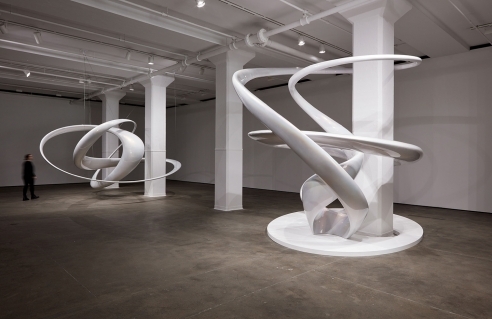 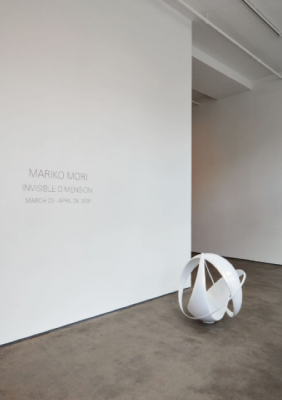 An interview with Mariko Mori on the occasion of her solo exhibition "Invisible Dimension" at Sean Kelly NY. 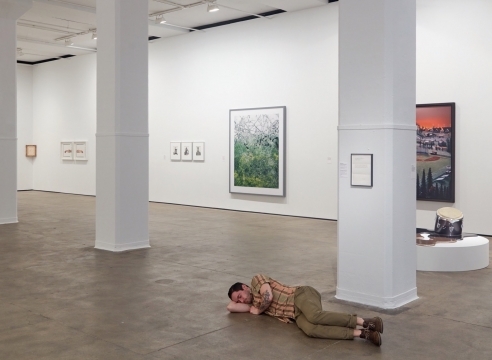 March 23 - April 28, 2018.